Makeup foundations come in a huge variety of colours, formulations, finishes and coverage. Many also provide “extra benefits” such as moisturising ingredients, oil control, line diminishing properties or a SPF factor. It is quite bewildering! Here’s our look at the basics of foundation (and… it’s a long post, we just wanted to cover everything as best we could!). What Does a Makeup Foundation Do? Last a reasonable length of time during the day and not crease, rub off or move easily. There are lots of liquid foundations on the market. There is one to suit just about any skin, given the huge variety of formulations, finishes and colours available. Formulations: A liquid product that comes in a bottle, often with a pump dispenser, or a squeezy tube. Various formulations available, including oil-free, oil-based, silicone-based, mineral-based or water-based. Skin Types: Products available for all skin types. Oil-based foundation is better suited to drier skins. Water-based products contain less oil (and can even be oil-free) so suit an oily, blemished or combination skin better, as do the oil-free foundations. Finish: Products available from matte to various levels of a sheen finish. Use face powder to matte down as well as set. Some finishes relate to the formulation e.g an oil-free product is more likely to be matte. Coverage: All levels of cover available, from sheer to full. Application: Apply with a foundation brush or damp makeup sponge. Blend edges away down the neck and into the hairline. 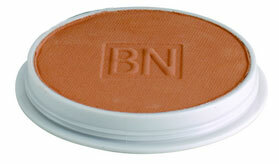 Use pressed or loose face powder to set and/or matte down. Formulation: A liquid foundation that has emollient (moisturising) properties with a hint of colour. You can also make your own – mix a bit of regular liquid foundation into a little moisturiser. There are oil-free versions. Often has an SPF rating. Skin Types: Good for dry skin that needs a bit of moisturising without heavy coverage. Good for skin that only needs a little coverage (minor blemishes can be concealed). For oilier skin types, go for an oil-free product. Finish: Often has a natural soft sheen, opposed to being matte. Can powder to create a more matte finish. Application: Goes on really easily just like a moisturiser – use fingers, a brush or damp makeup sponge. Don’t need to 100% colour match to your skin tone as it “disappears” into your skin. Good for adding a touch of colour if you’re feeling a bit pale. Doesn’t need powdering to set. Formulations: A thick, smooth cream that comes in a pot or a compact. Can be water- or oil-based. Some products are cream-to-powder formulations. Coverage: Medium to full. Mix with a primer to sheer it down. Application: Use a brush or a damp makeup sponge. Usually needs setting with powder, excepts cream-to-powder products. Formulation: A thick and more solid cream foundation that comes in a tube – and that’s why it’s called “stick foundation”. Coverage: Fuller coverage. Can even be used as a concealer. Application: Apply with a damp makeup sponge. Usually needs to be powdered to set unless it is a cream-to-powder finish. Formulation: A light and airy foundation that has the consistency of mousse! Skin Type: Suitable for most skin types. Packaging: Comes in a pot, or as an aerosol spray which foams up as the product is released. Application: Easy to apply with a damp makeup sponge or foundation brush. Some formulations go to a soft powder finish, meaning they don’t need powdering to set. 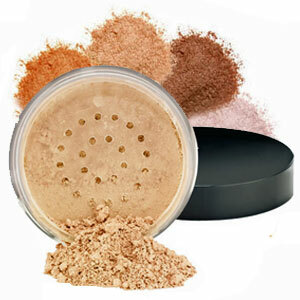 Formulation: A finely-milled loose powder that comes in a sifter pot. Consists of just a few ingredients and often has no fragrance or preservative. Skin Types: Good on normal to slightly oily skin. Dry skin may find it looks too dry on the skin. Less likely to cause an allergic reaction or create any sensitivity issues. Bismuth oxychloride is a controversial ingredient found in some brands. Some people won’t be bothered by it, but those with sensitive skins are best to avoid this ingredient. Finish: Natural sheen or matte. A finishing mineral product can be used over the top of the mineral foundation to matte down the skin. Coverage: Can be used to create coverage from sheer to full. Application: Applied with a Kabuki brush or square-topped foundation brush. Read our in-depth look at mineral makeup. Formulation: A solid, dry product that is activated by water. Skin Types: Not so good for dry skin as cake makeup tends to be very drying. Coverage: Heavy, so is used primarily in theatre or in body painting rather than for everyday wear. Application: Use a damp makeup sponge, may need a little spritz of water to activate it more, and really blend it well on the skin. It can be streaky if not applied quickly and buffed in. Doesn’t need powdering to set. 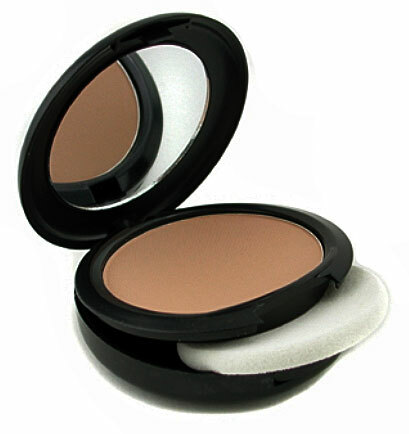 Formulation: A solid, dry powder cake that comes in a compact, often with an application sponge tucked away somewhere. Skin Type: Not the best option for dry or flaky skin as the powder can emphasis dryness. Coverage: Light, medium or full. Application: Apply dry with a powder brush for a light coverage. Use a dry makeup sponge for a medium to fuller coverage. Can also be mixed with a little water to apply “wet”, which gives good coverage. 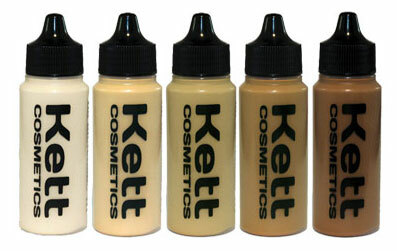 Formulations: High definition (HD) foundations come in all formulas, from liquid and cream to airbrush and mineral. It is more about the manufacture process, as the product is made incredibly finely so as not to be visible close up and on HD television and film. Application: Depends on the formulation – some are for airbrushing, others can be applied with a brush or a damp sponge. HD makeup is as much about application as it is formulation – any foundation applied badly will show, whatever the product used. Formulation: A thin liquid product. They are either alcohol-, water- or silicone-based and last well, making them great for film, television, bridal and using in humid and wet conditions. Coverage: Airbrushing (when applied correctly) provides a lovely sheer coverage without edges, so great for high definition and photographic work. Can be built up for more coverage. Packaging: Available in small to large plastic bottles with a narrow dropper in the top to control how much product is used. Small bottles are a great size for the makeup kit as you can carry a wide range of colours in a fairly small space. Application: Designed to go through an airbrush, though they can be applied with a brush or sponge too (though bare in mind that some formulations dry really quickly). Only a few drops are needed to cover a face, so it can be an economical way to apply foundation. Choose a foundation to complement and work with your skin type (e.g. oily, dry etc.) and skin tone. What do you want to achieve with the foundation (e.g. coverage, long-lasting, healthy glow)? When/what is the foundation for (e.g. daytime, natural, bridal, TV etc.)? Dry skin needs more moisture and oil to keep the moisture in, so choose a foundation that has good moisturising properties (rather than an oil-free formula). Liquid, cream and tinted moisturisers work well on dryer skin. Oily skin (or one with lots of blemishes) will suit an oil-free or water-based formula better – be that a liquid or cream formulation. Oily skin still needs hydration, it just doesn’t need more oil. Minerals and powders can work well on oily skins. Sensitive skin needs to avoid what triggers the reaction, if known. Fragrance (“parfum” on a label indicates the presence of perfume) and preservatives can often cause problems, so try products that are free of these. Coverage refers to how opaque the foundation is and, therefore, how much it will cover over your skin. Coverage can be described as sheer, light, medium or full. Sheer foundations are made to be less covering (e.g. tinted moisturisers). Full foundations are made to be fully covering (e.g. a cream product for camouflaging). Some products can be built up to provide more coverage. Other products can be mixed with moisturiser or primer to make them more sheer. Pigment content creates the colour in a foundation. The amount of pigment in a product determines how much product is actually needed. For example, a foundation that has a high pigment content in its formulation will not need to be applied as heavily as a foundation that has less pigment content in order to create the same level of coverage. Makeup designed for film/TV or camouflage tends to have a good pigment content. Foundations come in two main finishes – matte and with a sheen. Matte has no shine at all. This finish is good for a natural look on film and television, where sheen is emphasised under lights and on camera. It is also good for oilier skins. Sheen is good for drier skins that may need a bit of “life” putting into the skin’s appearance. A sheen can vary from a soft natural sheen (like natural skin has) to a more dewy glow. For everyday use, you have a lot of choice as all retail brands are made for this! You can choose a long-lasting formula if you want that, or something with a SPF if you’re in a sunny climate. For the bride who wants to look great all day with minimum top-up fiddling, choose a product that is long-lasting and tear-proof! 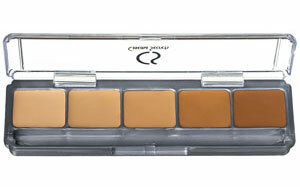 To cover skin pigmentation issues, use a highly-pigmented product designed for camouflage. For film and television, other aspects come into play like location and environment. Certain products perform better in the heat, others work better in colder conditions and if the actor is getting wet, then this has to be taken into account (alcohol- and silicone-based products work well in water). Undertones fall into three categories – cool, warm and neutral. It’s important to get this right – putting the wrong foundation on can result in the skin looking dull, lifeless. It’s not an exact science, but in general, cool undertones are pink, red and bluish. Warm undertones are more yellow, peachy or golden. A neutral undertone has no obvious yellow, olive or pink tones. Olive skin has a greenish hue, so this can be warm (due to the underlying yellow) or may work better with neutral colours. Test a foundation for colour and its underlying tone on the jawline – the right colour will “disappear” into the skin. Throughout the year, you may actually need more than just the one colour foundation, as skin tone can change from summer to winter. Warm skin tone of Sandra Bullock; Eva Longoria has an olive tone; Cool (more pink) skin tones of Rene Zelleweger and Marcia Cross. There are several tried and tested ways to apply a foundation. Whatever method works best for you, remember to work hygienically and don’t double dip sponges or fingers into products to keep them usable for longer. Those little makeup wedges you get are useful to get into nooks and crannies and create a smooth finish. Dampen them to apply apply any liquid, mousse and all creamy formulations. Use dry to apply pressed powder. Sponges come as round, oval, wedge and square shapes. They should be soft on the skin and great for blending. Foundation brushes are used to apply liquid and cream foundations, but they can leave brush marks/lines so double-check your blending. Foundation brushes are normally made from synthetic bristles, as they deal with the liquid and cream formulations really well. 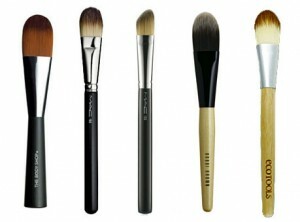 Kabuki brushes are perfect for applying loose mineral products, which are buffed and swirled over the skin. To get into the face’s nooks and crannies, like round the nose and eyes, use a smaller brush. A small air compressor is used to push the product through the airbrush to create a fine mist of tiny makeup droplets. The airbrush is moved over the face/body from a short distance and the droplets settle onto the skin. It can easily be built up for more coverage in areas that need it, but it can also be overdone and people can end up looking very mask like. Great for creating a sheer and seamless base for bridal, HD and photographic. Also good for people with scarring. Normal liquid foundations can be used with an airbrush too, though they usually require thinning to prevent them clogging up the airbrush. To learn all about airbrushing, it is best to do a short course with an industry expert to learn about health and safety aspects as well as how to correctly apply a base. Well you have a lot of choice! You can use any type of formulation – look for the ones not designed for a particular skin type like oily or dry. A tinted moisturiser may be all you need to even out your skin, or use a light dusting of loose minerals. We like Aveda Inner Light Tinted Moisturiser or Laura Mercier Tinted Moisturiser. You might not even need or want to cover your whole face in a foundation – just lightly apply a base to the areas that need it and blend it in. Products designed for oily skins tend to have a matte finish to help counteract shine. Dry formulations like loose mineral makeup and powders can work well on oily skins. A mattifying primer product can also help with excessive shine and prep the skin. A great anti-shine product often used in film and television that can be worn alone or under makeup is Make-Up International’s SuperMatte AntiShine. Designed to last for a while under duress and under hot lights, so it can certainly cope with less-demanding everyday wear. Choose a product that will help moisturise your skin, like a tinted moisturiser or an oil-based product – it depends on how much coverage you want. Avoid flat matte products – use something that adds a satin finish or soft sheen, putting a bit of “life” into your skin. Powder foundations may emphasise any dryness or flaky skin patches, so best to avoid. To get more moisture into skin, or to get rid of that “stretched” feeling after washing your face, apply moisturiser before you start the makeup. You may need a lightweight, well-pigmented product that doesn’t sit in lines emphasising wrinkles. Older skin can be drier and look flat, though this is absolutely not a given – plenty of older people have oily skin and so on! If so, a foundation with moisturising properties and a natural sheen may work better for you – just the same as for younger people. Negative reactions to cosmetics are caused by the ingredients. Fragrance or preservatives in particular can trigger a reaction, so if you’re not sure what triggers a reaction in you, first try a product free from these ingredients. Loose mineral makeup is less likely to cause allergic reactions, simply as they have less ingredients, and tend to be fragrance and preservative free. Watch out for the ingredient bismuth oxychloride which can be irritating to some skins. “Hypoallergenic” is a misleading marketing term and it doesn’t mean that the product will not upset your skin. Same with similar labels, such as “Dermatologically tested”. They tell you nothing about who, what and how tested. To conceal and cover vitiligo, birthmarks, rosacea or tattoos, there are good high-pigment products on the market. Supercover Professional Makeup makes an excellent range of foundations for all skin tones from light to dark in both warm and cool undertones. Dermacolour, Veil and Dermablend specialise in camouflage products and do a wide range of colours with setting powders that keep the foundation in place. All of this information is to provide a general guide to the myriad of products out there and the products we have mentioned are ones that we use and like. But that’s just our personal choice! Even as makeup pros, we find the huge range daunting sometimes – it’s all about trying something out and seeing if it works for you. Understanding colour theory for makeup artists. Cruelty-Free Cosmetics: how to find products that are not tested on our fluffy friends.